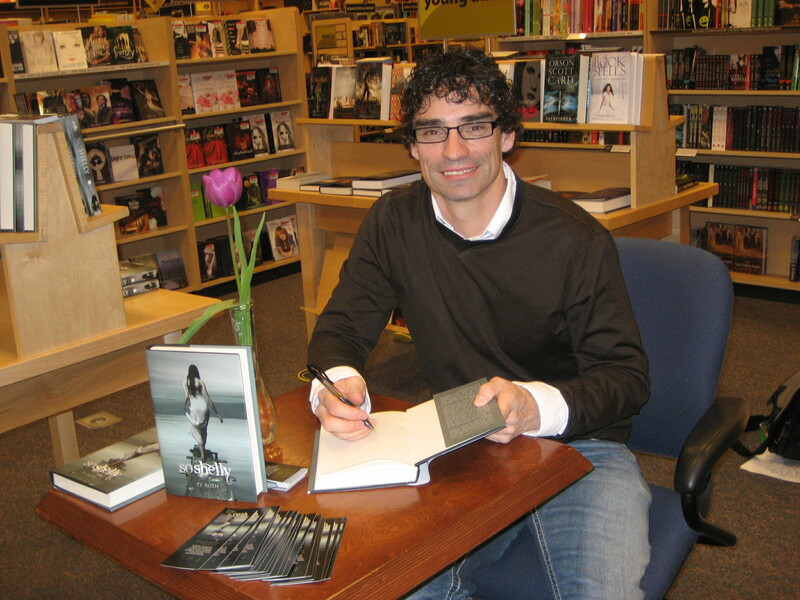 Book Signing Tips | VEHICLE: 1) Ty Roth's blog; 2) a medium for thought, feeling, or action. In last week’s post, I discussed my nervousness regarding yesterday’s in-store signing at a Borders. My fears included that one, that it was precious time that could be better spent writing; two, that I wouldn’t sell enough books to justify the time spent; and three, that I would sit idly twiddling my thumbs as customer after customer passed by me completely indifferent to me and my book. Post-signing, I’m glad to report that, as usual, I’m a worry wart and an idiot. Reality proved each of my fears to be irrational and false. article were two simple pieces of advice that are applicable to nearly every uncomfortable situation with which one may be confronted, whether you’re a writer or not. As I sat in my car in the parking lot of the mall steeling my nerves and preparing myself mentally, I called upon the following tidbits from the article: First, I was in control. If I wanted the two hours to be a positive experience, it would be determined by my attitude. I could either choose to sit glumly, wallow in self-pity, and literally repel potential readers by my own attitude and body language, or I could choose to make eye contact and smile as mall-goers passed my table. Never underestimate the power of eye contact and smiles. Most of us are on the constant lookout for connections, and nothing advertises ouselves as a potential port in the storm of human aloneness than looking another in the eye and smiling. The vast majority of those I connected with in such manner walked right on by, but the majority of those returned my smile. Really, how cool is that? A few stopped to chat about So Shelly, and a few of those chose to buy it and have it signed. And, who knows, maybe a few of those returned later and bought So Shelly on their way out, or ordered it online when they got home, or will pick it up the next time they are in a bookstore. Secondly, in the immortal words of one of my all-time favorite bands, Kool and the Gang, I got my “back up off the wall.” If I wasn’t busy signing a book or chatting with another customer, every time someone entered the YA section, I struck up a conversation about the books shelved there. I asked what genre they or the person they were buying for liked to read. If I knew of any titles, I offered afew suggestions. I also took the opportunity to point out So Shelly and to discuss her. Many of those with whom I spoke actually purchased my book and one or more of those I suggested. So not only did I make sales; I also sold a few books for some author friends (Amber Kizer, author of Meridian, you owe me. I emptied the store’s supply.). In life, there are few obstacles as plentiful or more difficult to overcome than those we put in our own paths. By far the biggest are forms of fear. Fear of failure, fear of embarrassment, and fear of rejection are the most common, and they were the real root causes of my own trepidation regarding book signings. By recognizing them as self-imposed, I realized that if I was the one creating them, I could also be the one to destroy them. I did so with the help of the Davidson article and with old-fashioned determination not to be my own worst enemy. Now, I’m looking forward to future book signings and hope to book a few soon. 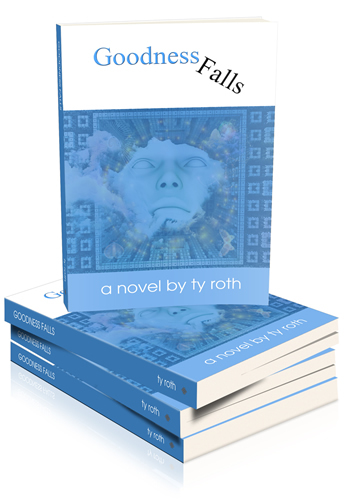 Be sure to visit my web page at www.tyrothbooks.comfor upcoming events.